Thank you for choosing our Quick and Easy Self check in service for Arrivals after 18.00h. 1. 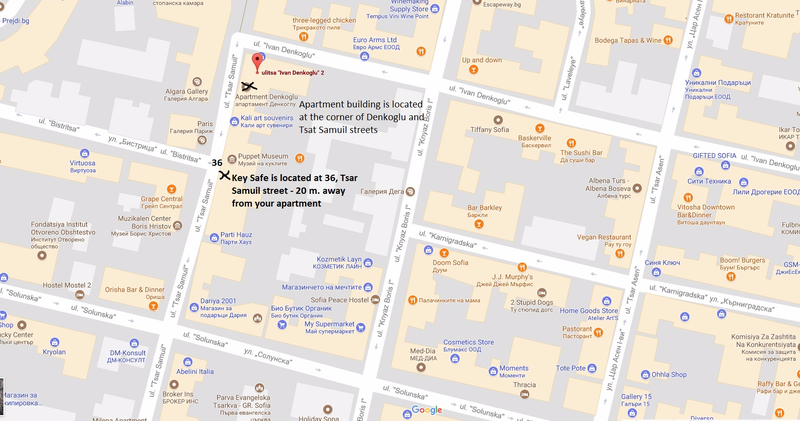 After landing at Sofia Airport (or entering the city if coming by car) you should reach the address of your apartment - 2, Denkoglu street. It looks like this in bulgarian - ул. 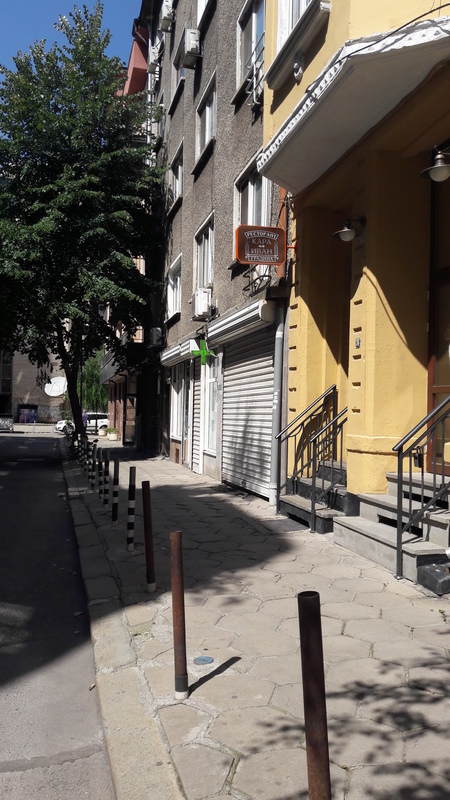 Денкоглу 2. 2. 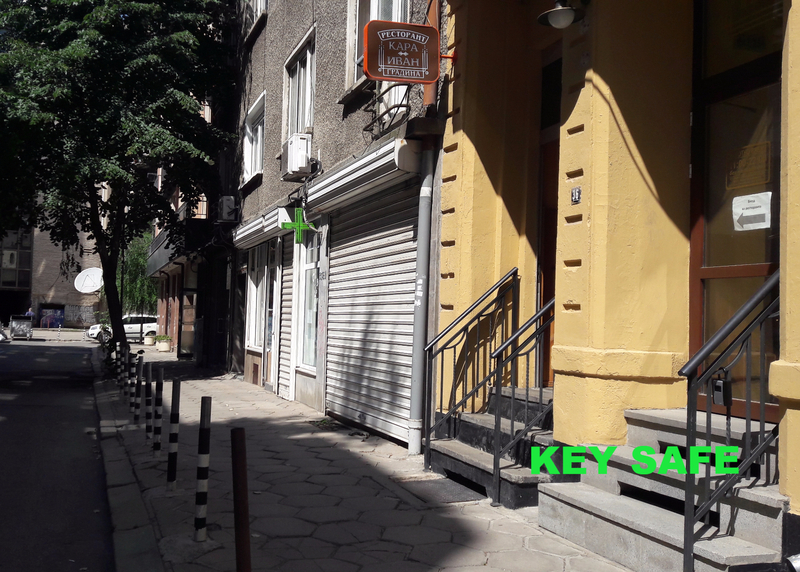 You will find our mobile Key Safe on a railing of a restaurant entrance located on 36, Tsar Samuil Street, only 20 m. away from the apartment building. Please take a look at the pictures below. 3. 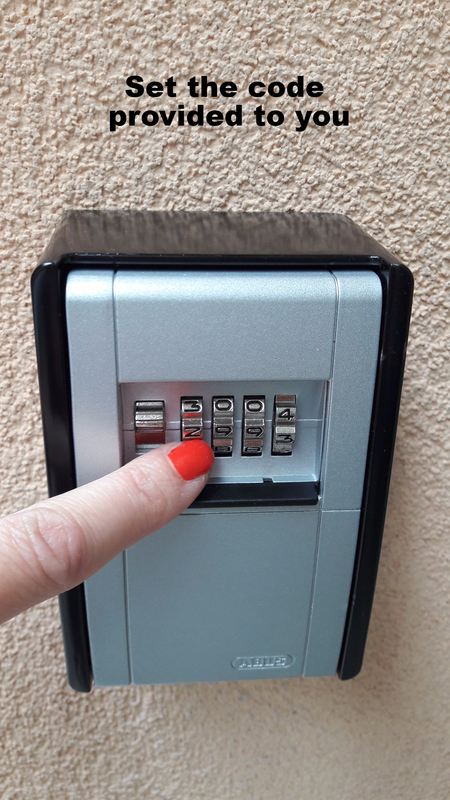 To open the mobile Key Safe please push down the protective cover and set the code (you will receive the code via email before arrival). 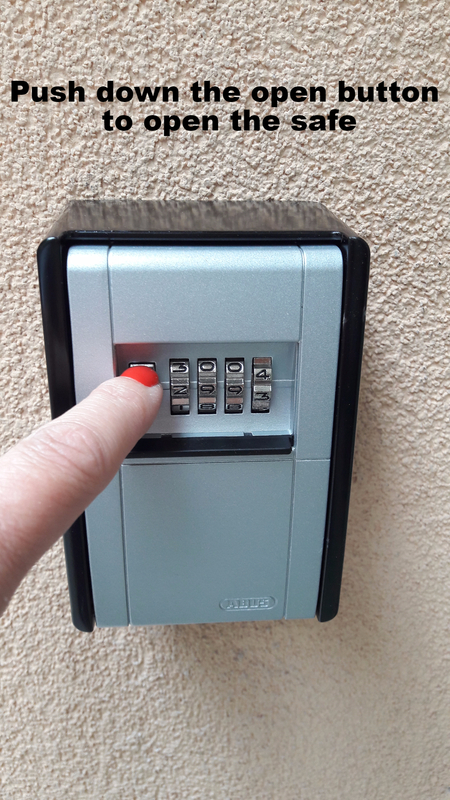 Press the open button on the left and take out the keys. Close the drawer and scramble the code in order to avoid somebody else to open it. 4. 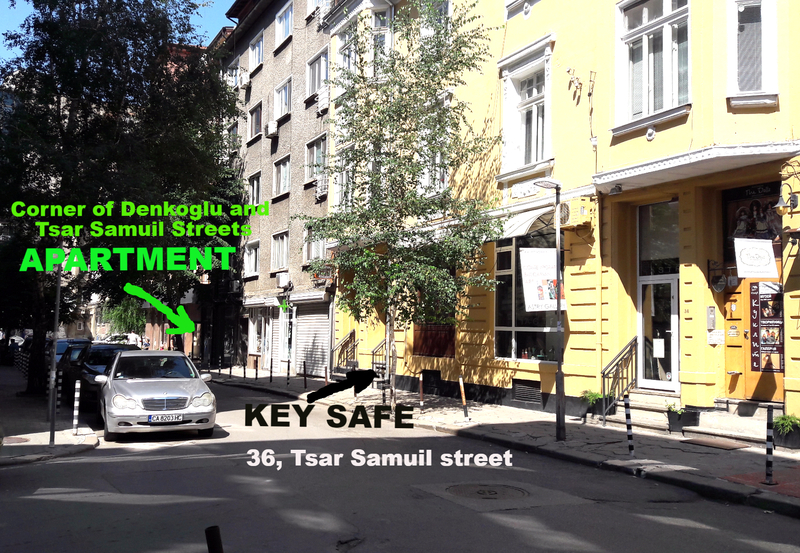 Once you have the keys go to 2, Denkoglu street 20 meters away. 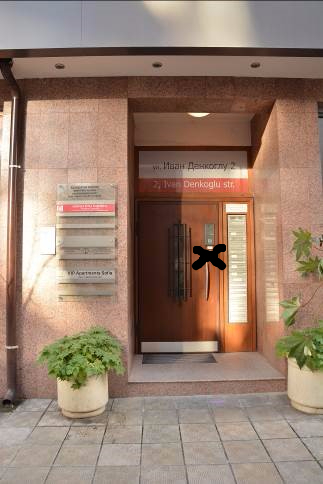 The building door opens with the grey chip. 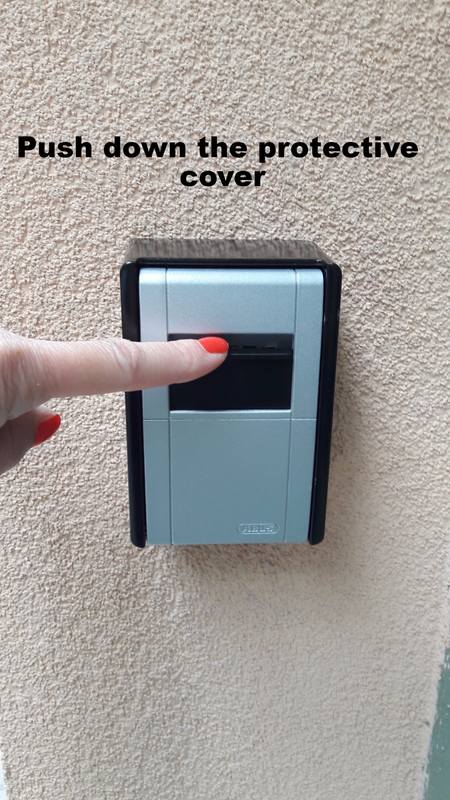 All you have to do is just touch the grey sticker that is marking the right spot on the door. Please have in mind you are only able to come in and go out of the buidling using the grey chip. 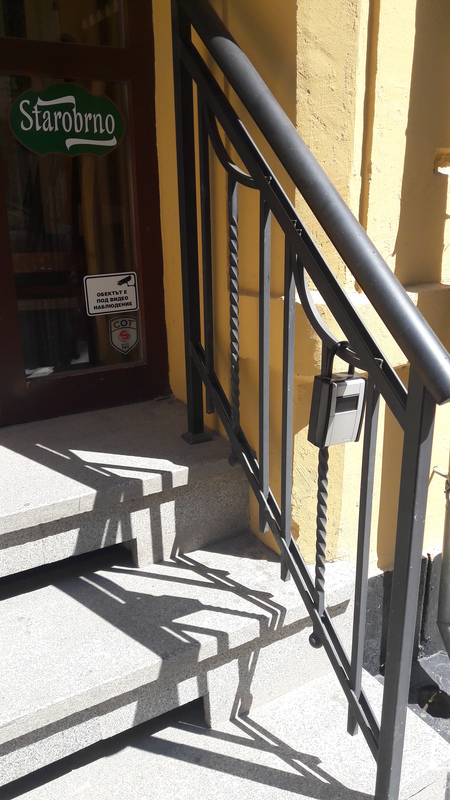 Take the elevator to the 4th floor, the apartment is located opposite the elevator. 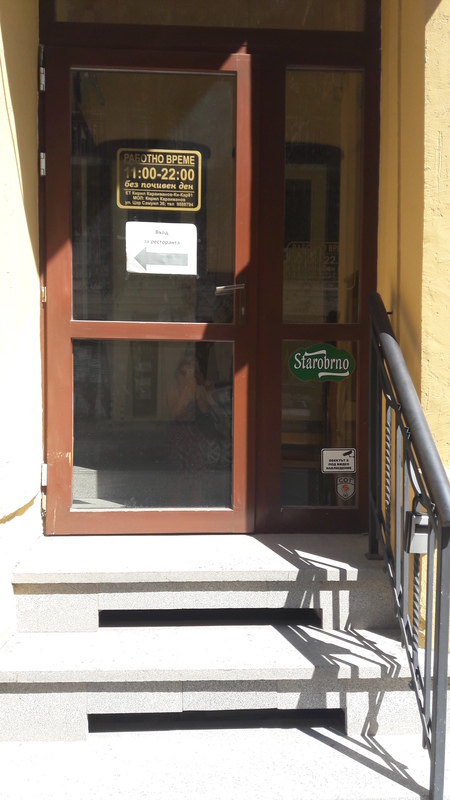 The apartment door is marked with a yellow VIP Apart sticker at the corner. 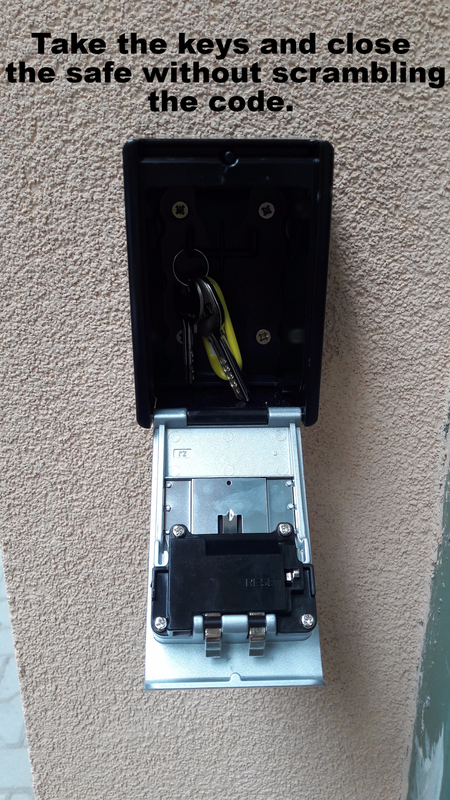 Open with the other key and welcome to your apartment. You will find all useful information in the manual on the table - Wi-Fi network and password, address, house rules, etc. Enjoy your stay!